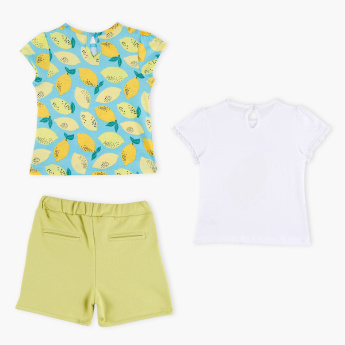 Let your little one step out in style with these printed t-shirts and shorts. The shorts highlight elasticised waistband that lends a snug fit while the t-shirts sports an attractive print that adds to its interest. Crafted from a soft fabric, this set is sure to keep your little one comfortable all day long.